A new exhibit just opened a few days ago in Siena by the Opera della Metropolitana to celebrate the Year of Faith and in time for Easter. Called “Resurrexi, from the Passion to the Resurrection“, the show lets visitors see how mankind has understood and depicted the last moments of Christ’s life in some of the most beautiful works of art. 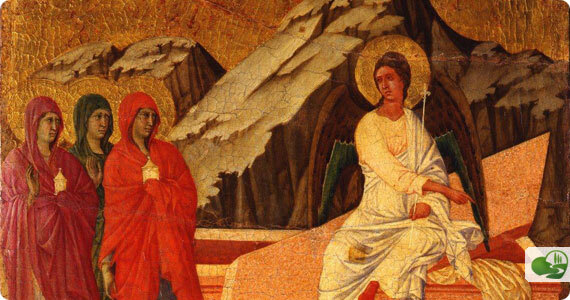 While some of these images can be seen on a visit to either the crypt under the Duomo or to the Museum dell’Opera, the special itinerary pinpoints and brings together several works not generally seen, particularly the special parchments with hand painted miniatures. 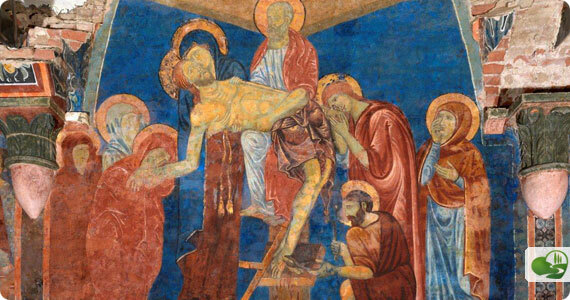 The exhibit also includes the frescoed scenes in the Crypt as well as the reverse side of Duccio di Buoninsegna’s Maesta’ which depicts the entire cycle of the Passion of Christ; in this case, generally the front is what receives all of the visitor’s attention given the display of the art work. Highly recommend visiting this exhibit – and the whole complex of the Duomo – because it is amazing to see what human kind has been capable of imagining and painting for hundreds of years. Includes the Duomo and Piccolomini Library, Museum dell’Opera and view from the top terrace, Crypt under the Duomo, Baptistery, St. Bernardine Oratory.